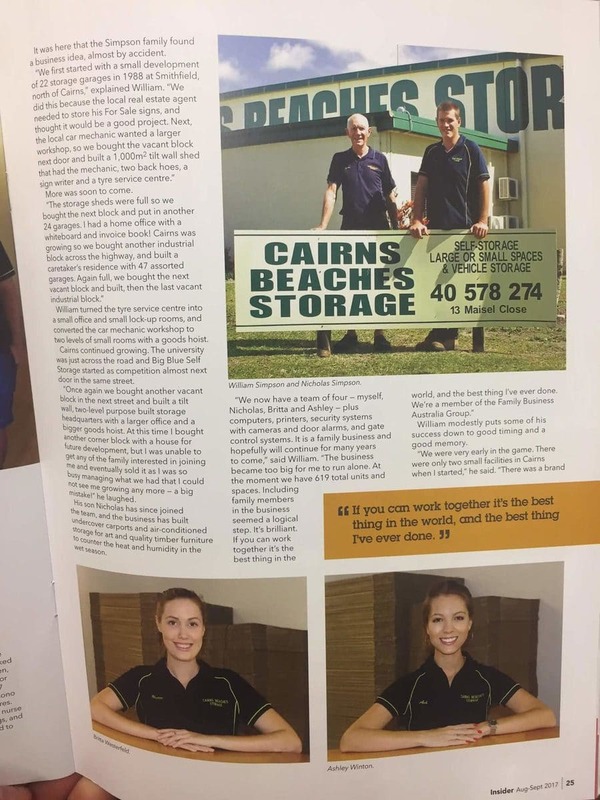 In Tropical North Queensland, a family has built a self-storage business that still sets the pace after 30 years. There’s an old adage that you should never work with your family, but there’s always an exception to the rule. 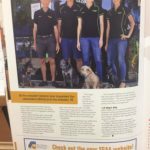 In North Queensland, there’s a business that not just hums in familial harmony, but sets the tune for its competitors. “We first started with a small development of 22 storage garages in 1988 at Smithfield. 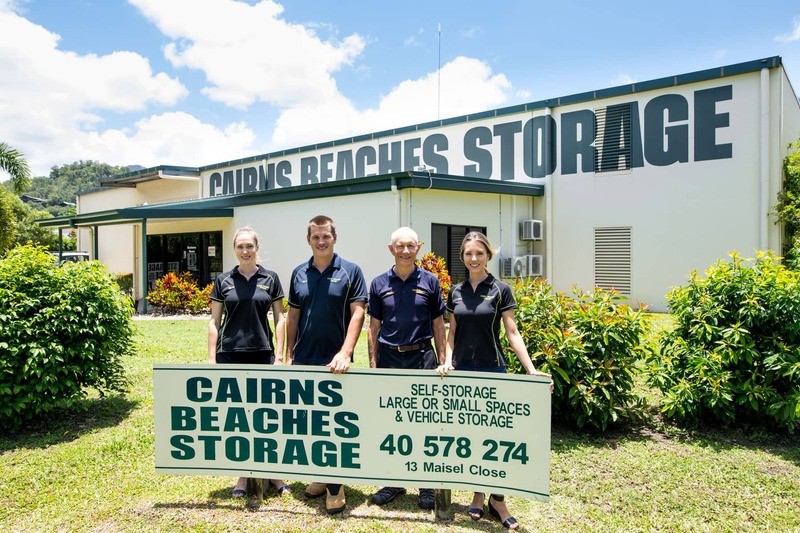 Cairns Beaches Storage was one of the first self-storage facilities in the region and has maintained its competitive edge through judicious investment and utilisation of technology to reach customers and give them the access they demand. The company was founded by William Simpson in 1988 when self-storage was virtually non-existent as a business model. 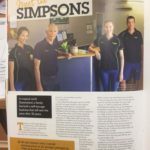 The name Simpson should ring bells for those who remember Simpsons washing machines from an earlier time – William is a member of that Simpson Lineage. Born in 1949 in Adelaide, William hitchhiked to Perth and up the Western Australia coast after school, mostly working on cattle stations around the Ord River he was called up for National Service and underwent three years’ officer training at the army flight school. He flew in Indonesia for the army doing mapping surveys in Sumatra, flying fixed-wing Pilatus Porter Turbine short field take-off and landing aircraft. In 1975 he move to Amaroo Station, between Alice Springs and Mt Isa, as a young single male. “It had a bullock paddock and a horse paddock around the homestead. I worked a full stock camp with 10 aboriginal men, 30 horses, 3,000 cattle and windmill for water,” he recalled. “It was sold in 1987 after fencing boundaries, putting mono bores and two solar panel electric bores. It was here that the Simpson family found a business idea, almost by accident. 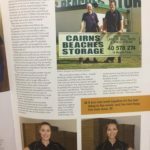 “We started with a small development of 22 storage garages in 1988 at Smithfield, North of Cairns,” explained William. More was soon to come. William turned the tyre service centre into a small office and small lock up rooms, converted the car mechanic workshop to two levels of small rooms with a goods hoist. Cairns continued to growing. The university was just across the road and Big Blue Self Storage started as a competition almost next door in the same street. “Once again we bought another vacant block in the next street and built a tilt wall, two-level purpose built storage headquarters with a larger office and a bigger goods hoist. At this time I bought another corner block with a house for future development, but I was unable to get any of my family interested me and eventually sold it as it was so busy managing what we had that I could not see me growing any more – a big mistake!” he laughed. 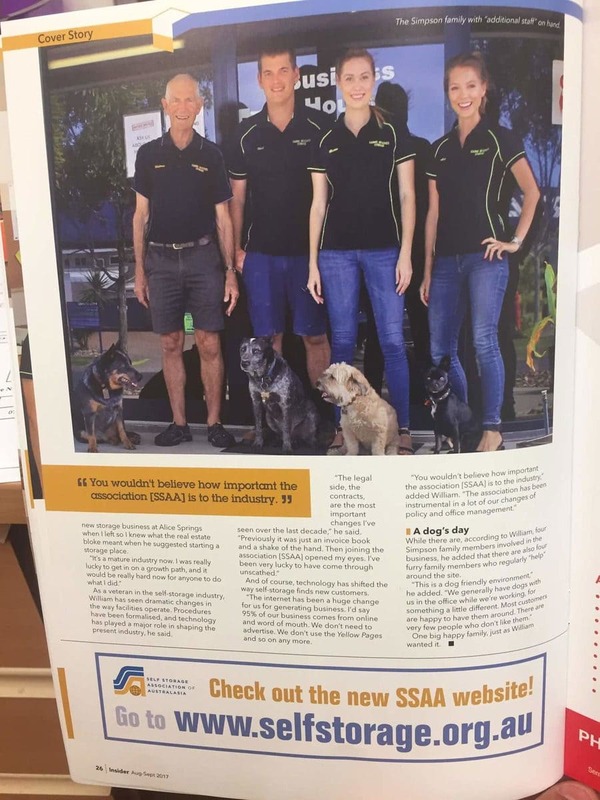 His son Nicholas has since joined the team, and the business has built undercover carports and air-conditioned storage for art and quality timber furniture to counter the heat and humidity in the wet season. “We now have a team of four –myself, Nichols, Britta and Ashley – plus computers, printers, security systems with cameras and door alarms, and gate control systems. It is a family business and hopefully will continue for many years to come,” sid William. “The business became too big for me to run alone. At the moment we have 619 total units and spaces. Including family members in the business seemed a logical step. Its brilliant. If you can work together it’s the best thing in the world, and the best thing I’ve ever done. William modestly puts some of his success down to the good timing and good memory. “We were very early in the game. There were only two small facilities in Cairns when I started,” he said. 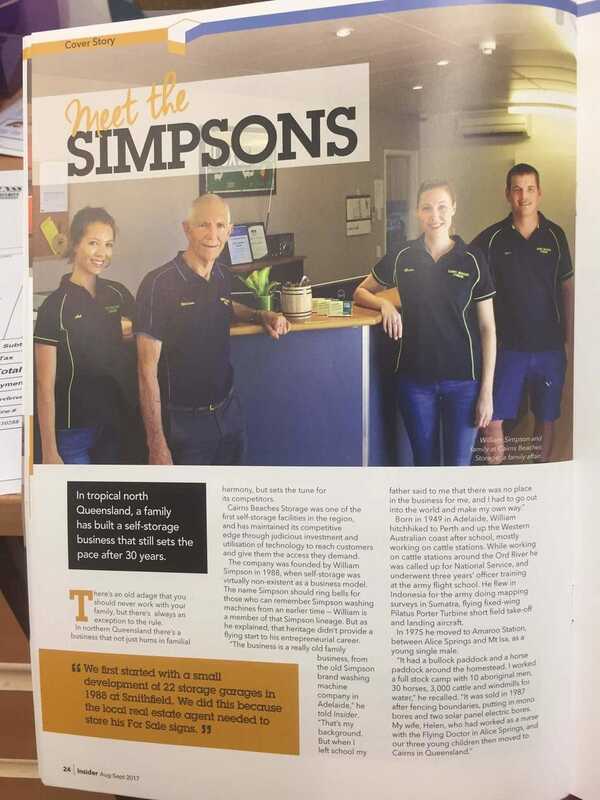 “There was a brand new storage business at Alice Springs when I left so I knew what the real estate bloke meant when he suggested starting a storage place. As a veteran in the self-storage industry, William has seen dramatic changes in the way facilities operate. Procedures have been formalised, and technology has played a major role in shaping the present industry, he said. And of course, technology has shifted the way self-storage finds new customers. “The internet has been a huge change for us for generating business. I’d say 95% of our business comes from online and word of mouth. We don’t need to advertise. We don’t use the Yellow Pages and so on any more. While there are, according to William, four Simpson family members involved in the business, he added that there are also four furry family members who regularly “help” around the site. “This is a dog friendly environment,” he added. “We generally have dogs with us in the office while we’re working, for something a little different. Most customers are happy to have them around. There are very few people who don’t like them.” One big happy family, just as William wanted it.